Headquartered in San Francisco, UnionBanCal Corporation is a financial holding company with assets of $105.5 billion at September 30, 2013. Its primary subsidiary, Union Bank, N.A., is a full-service commercial bank providing an array of financial services to individuals, small businesses, middle-market companies, and major corporations. The bank operated 418 retail branches in California, Washington and Oregon. The bank operated commercial branches in Dallas and Houston, Texas, New York, New York and Chicago, Illinois, as well as two international offices on September 30, 2013. 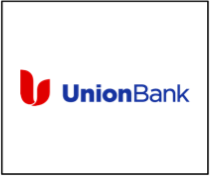 We thank Union Bank for their ongoing support.